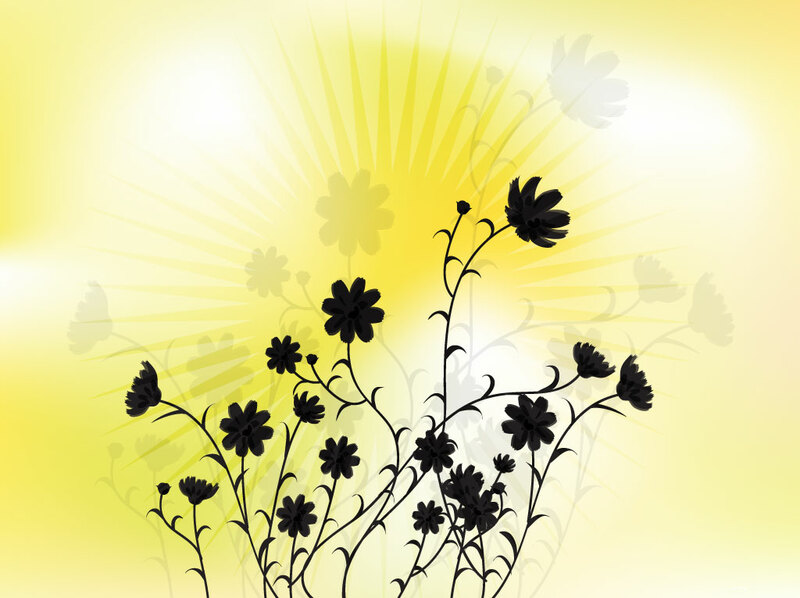 Nature layout with flowers vector silhouette drawing set on magical bright backdrop. Warm summer day vector background with yellow sunburst graphics and a black floral silhouette design. Fading ghost images give the free download depth and make it a complete image. Perfect stand alone image for artistic appreciation or a great summer or spring themed backdrop. Tags: Bright, Flowers Vector, Light, Mesh Vector, Sky, Summer, Sunburst, Sunny.